WOO HAH! takes place Friday July 13 till Sunday July 15 2018 in Hilvarenbeek (The Netherlands). The festival grounds are situated at evenemententerrein Beekse Bergen which is reachable by public transportation (via shuttlebuses), via EventBus Travel, by car and by bike. EventTravel arranges organized bus fares to WOO HAH! from every major city in the Netherlands, so there is always a spot where you can hop on. The shuttlebus is the best way to get to the festival and campsite if you’re using public transport to get to WOO HAH! Once you arrive at the Central Station of Tilburg exit the station via the ‘Burgemeester Stekelenburgplein‘ exit, the shuttle buses will be waiting for you there. Shuttlebuses will drive with intervals throughout the whole day between the Central Station of Tilburg and the WOO HAH! festival site (see timings below). The trip will take you approximately 30 minutes. If you travel to the festival for several days in a row you will need a separate retour ticket for each day. The festival grounds are located at Safari Park Beekse Bergen which is reachable by a shuttlebus from Tilburg Central Station. If you’re travelling to WOO HAH by train, take the train to Tilburg Central Station. From there our shuttlebusses will take you directly to the festival. NS has train tickets on offer with a discount which are available here. Be sure to check your travel date in the NS journey planner before your journey. On the road you can use the Reisplanner Xtra app or use m.ns.nl. Be sure to also plan your trip back! Keep in mind: WOO HAH! runs till 03h00 on Friday and Saturday, on Sunday the festival will run till 01h00 so plan your return trip accordingly. There is a parking area which is located at walking distance from our festival grounds. Parking tickets are available for the entire weekend or a single day and can be bought in advance or during the day. Keep in mind that the parking area won’t be under surveillance, so WOO HAH! will not take responsibility for lost property or damage to your vehicle and/or it’s contents. Are you travelling from abroad? Here is some extra information that will help make your trip to WOO HAH! festival a lot more smooth. Once you have arrived at Schiphol Airport follow the signs that lead you to the trains. There are a couple of options you can choose from to get to the WOO HAH! festival grounds. From Station Schiphol Airport take the ‘NS Intercity Direct train’ to station Rotterdam Central. Please note that for this specific train you need to pay an extra supplement of €2,40. Get out in Rotterdam Central and from Rotterdam Central you take the ‘NS Intercity’ to Station Breda and get out at Station Breda. From there you take the ‘NS Intercity’ to Eindhoven and get out at Station Tilburg. From Station Schiphol Airport take the ‘NS Intercity’ to Nijmegen and get out at Station Utrecht Central. From there take the ‘NS Intercity’ towards Maastricht and get out at Station ‘S-Hertogenbosch. Then take the ‘NS Intercity’ towards Roosendaal and get out at Station Tilburg. From Station Schiphol Airport take the ‘NS Intercity’ towards Venlo and get out at Station ‘S-Hertogenbosch. From there take the ‘NS Sprinter’ towards Dordrecht and get out at Station Tilburg. You can buy a ticket at one of the ticket machines. You can pay with debit card, credit card and coins. Depending on which option you choose it will take you around one and a half hours to get to Tilburg Central. 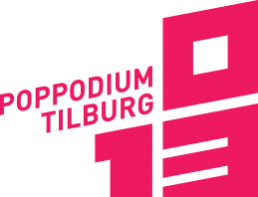 From there you can take the shuttle service between Tilburg Central station and the WOO HAH! festival grounds. Keep this in mind so you don’t miss any performances! Once you have arrived at Eindhoven Airport follow the signs that will lead you to the bus area. There are two options you can choose from to get to the WOO HAH! festival ground. From Eindhoven Airport take ‘Hermes Bus 400’ towards Eindhoven Station. Get out at Eindhoven Station and follow the signs to get to the train area. Take the ‘NS Intercity’ towards Breda and get out at Station Tilburg. From Eindhoven Airport take ‘Hermes Bus 20’ towards Best Station. Get out at Best Station and follow the signs to get to the train area. Take the ‘NS Sprinter’ towards Tilburg Universiteit and get out at Station Tilburg. You can buy a train ticket at one of the ticket machines and for the bus you can buy a ticket from the bus driver (these prices vary, but make sure you have about €6 – €7 euro cash for a bus ticket). You can pay your train ticket via debit card, credit card and coins. Depending on which option you choose it will take you around one and a half hours to get to Tilburg Central. From there you can take the shuttle service between Tilburg Central station and the WOO HAH! festival grounds. Keep this in mind so you don’t miss any performances! All the information about public transportation in The Netherlands can be found on www.9292.nl and www.ns.nl. These websites also have app’s that you can download so you can easily plan your trip to WOO HAH! Both airports, most train stations and trains have Wi-Fi for you to check the train times and from which platform the trains depart from. With over 60+ live acts, DJ’s and a full fledged side programme we have enough to offer during our 2018 edition. But what better way to upgrade your festival experience then to rent a bungalow on our festival grounds together with your entire squad? Together with Beekse Bergen we’re offering the ultimate hiphop getaway by choosing to stay in one of our luxury accommodations varying from bungalows to log cabins and more, offering the ability to stay with groups ranging from 4 to 16 persons. Want more info? Be sure to take a look at the Beekse Bergen site to pick the right accommodation for you and your friends. PS: Rather stay in your own tent at our regular campsite? Then be sure to grab a weekendticket incl. campsite via our ticket page. Want more info? Feel free to contact us via info@woohahfestival.com or Facebook Messenger!